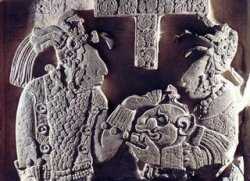 In the Mayan Sacred Books of ‘Chilam Balam’, it has been translated to identify the current leader of the world will no longer be as we end the 4th World and enter the 5th. This has been interpreted by the elders to mean the United States will no longer have its way. One issue of great concern is the US and European economy. It was said the financial condition with world markets is, and will be, more fragile than is being disclosed. In the coming year we will see radical shifts in currency and methods of trade. This was brought about by the 4th World anchor of self-centeredness, individualism, greed, and materialism. I was told the 4th World is a learning time for humankind. The world’s consciousness (sometimes described as field of energy) was set to allow a period of greed, lust, deception, and disregard ultimately ending in wars and collapse of nations. Mayan prophecy identifies this period is not meant as a means of punishment – but was meant for us to grow, to learn about ourselves, to rise to a higher self. This was the description of the 4th World – an opportunity to right ourselves bringing back an allegiance of community. Mayan prophecy tells us it is during the end of the 4th World as we transition into the beginning of the 5th World, we will witness the worst of humankind as we purge from the old into the new. It is said those who have most to lose will have the potential to act in the worst possible way as change is upon us. I have no doubt you have plenty of other examples supporting the red, blue, or green teams, of that I’m sure – but remember, this would only highlight the 4th Worlds energy towards conflict, disharmony, and separateness. I highlight the United States only because I live here. I think we all know other countries have a greater or lesser degree of 4th World problems. What I believe to be the most greedy, self-seeking and perhaps every adjective ending with “evil” (a word I rarely use) magnifying the signature of the 4th World – would be the Federal Reserve and Wall Street. I think you will agree, it doesn’t matter what color you support, this was the most harmful event put upon every single American (except those affiliated with the money traders). The United States has become a polarized nation. We are in the grasp of a 4th World belief system. We are living in a time of Fox News vs MSNBC – A good Christian conservative, or an evil socialist liberal. You are either with me or against me. Mayan prophecy tells us of the Sun to become extreme causing great turmoil as our galaxy (Milky Way) will be coming back into balance with the galactic center. It will be a time of ‘external’ and ‘internal’ adjustment. The ‘external’ adjustment will come in the way of extreme earth changing events such as earthquakes, volcanoes, hurricanes, tsunamis, and floods bringing itself back into harmony and balance with the universe. The ‘internal’ adjustment will come in the way of personal and collective emotions – or view of self and the world. To some, this may sound like a wonderful spiritual adventure, however, it is said this could be an intense challenge for those of us who are out of harmony, or balance, with our true selves. This is to say that if we are actively working to seek and maintain our true path with integrity and humility – we should do well. But if we are out of harmony and our actions and behaviors are inconsistent with our truth and integrity, we will likely go through a difficult adjustment bringing us back in balance. This could mean our world might be turned upside down. Not to punish us, but to help us remember why we are here, what is our passion, what is our true journey …. Earth Changes Media is your No. 1 news source for space weather and earth science. We cover all breaking news and research in the area of earthquakes, volcanoes, solar flares, comets, asteroids, the Sun-Earth connection, the Sun-Galactic connection. We also cover ancient text and their predictions and prophecy. This entry was posted in 2012, ancient_text, asteroids, astrology, earth changes, earth’s core, earthchanges, earthchangesmedia, galaxy, hopi_prophecy, mayan_prophecy, sun_earth_connection. Bookmark the permalink.